Conferences, Weddings, Company Eventsand so much more! It took me over 5 years to figure out how that trick was doneand it is still a great trick for kids…just with a couple of bits of paper stuck to your finger. Maybe that was where it all starteda seed planted. My family moved from London to New Zealand and in 1987 I settled in Australia. I did a TAFE course in magic…yes a TAFE course run by Eric Summons (Boris the Black Knight) and that, along with a Toastmasters course, put me on the path to a fulltime career in magicand what a great life it is! I am invited to lots of fun parties and social events where I get to have loads of laughs while entertaining people like youwhile doing something that I loveMagic!…I couldnt ask for anything better! I am a member of the International Brotherhood of Magicians andpast Secretaryof The Queensland Society of Magicians. Magic is such a big part of my life I dont know what I would do without it…it has taken me around the worldI have met fellow magicians from just about every country.and I have enjoyed every single second of it. So when I perform for you, I hope your experience of magic is as powerful as my first experience was. Your show was extremely entertaining. We found that guests of all ages thoroughly enjoyed it. It was great how people could participate in the tricks you performed. Thank you very much for a night of wonder and amazement. You are a great party entertainer! Glen created a vibrant, fun environment and got everyone into the mood. He was extremely professional throughout the night and drew people in with his engaging act. I highly recommend Glen for a corporate function. Thank you so much for your involvement in Think PINK. It was so fantastic to have you involved and everyone loved you 🙂 You are such a wonderful, warm and professional, easy going person to work with Glen – I just can’t thank you enough for your fantastic support and involvement. You had me at the $50 notes!. My family and friends marvelled over your performance and rightly so! 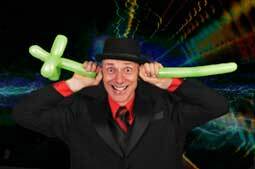 You balanced witty adult comedy and fun entertainment at our ‘multi celebration’ party so well. We want to say a very heart felt THANK YOU! Veronica, Danika, Raymond, myself and ALL our guests were totally blown away with your performance and thoroughly enjoyed every minute of your show.